"Dr Ispas and her staff are simply amazing and exceptionally outstanding." "Dr Laura and her team of assistants, nurses are amazing." "Dr. Ispas is outstanding and the staff goes above and beyond." "I’ve been here several times and the staff is really friendly." "I was diagnosed and treated effectively by Dr. Laura." "Dr. Ispas-Ponas is a miracle worker. I love coming here with my sons." "Highly recommend this practice and the professionals on staff; you can't go wrong." We Have Moved to Suite 207! We have moved to a new and markedly improve office space. Our hope is that this will allow better flow of the patients to reduce waiting times and ultimately improve overall experience. Same Day Urgent Appointments Available. We accept most insurances, including Medicare. We are located in the RIA Building. If you are unsure of where we are, look for the playground! Laura Ispas, MD, is a top-ranked allergy and immunology specialist with nearly two decades of experience providing customized treatment to patients of all ages. If you’re looking for the best allergist in Leesburg, Virginia, you’ll find unsurpassed medical care at her practice, Allergy Asthma & Immunology Institute. Dr. Ispas has earned the respect of both her peers and her patients, thanks to her extensive experience, genuine concern for each patient’s unique needs, and her ability to provide treatment that produces long-lasting remission and management of asthma and allergy symptoms. As the best allergist in Lansdowne, Virginia, she has created an environment that’s warm and welcoming while also providing state-of-the-art technology. Patients receive top-quality care together with the convenience of on-site services, such as pulmonary function testing. Dr. Ispas graduated from the Institute of Medicine in Timisoara Romania in 1990. She then entered East Carolina University in North Carolina, where she completed her residency in internal medicine and a fellowship in allergy, asthma, and immunology. 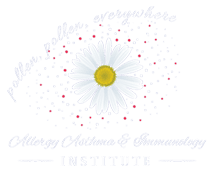 Dr. Ispas holds memberships in the American Academy of Allergy, Asthma, and Immunology, as well as the American College of Allergy, Asthma, & Immunology (ACAAI). She’s also an active member of the American Medical Association and the World Allergy Organization. Before opening her practice in Leesburg, Dr. Ispas served as President and CEO of Sonoran Allergy and Asthma Center in Phoenix for many years. Dr. Ispas is a well-known, published author who takes a leading role in clinical research involving investigational medications. She frequently gives presentations to residents and primary care physicians, where she teaches the newest and most effective methods for treating allergies and asthma. Because she values staying active in her community, Dr. Ispas volunteers for the ACAAI Nationwide Asthma Screening Program. She was proud to be nominated and named Top Doctor in Phoenix in 2010-2013, and to be featured in America’s Top Physicians in 2014. When you need the best care from an outstanding allergist near you, call Allergy Asthma & Immunology Institute or schedule an appointment using their convenient online booking feature. We also speak Spanish, Romanian, and Sign Language in the office. Schedule Your Allergy Shot Appointment Today! In order to provide timely, quality service and avoid extended wait time, please make allergy shot appointments during office hours. Here is a list of insurances accepted at Allergy Asthma & Immunology Institute. If you do not see your insurance provider or if you have any questions about payment, please contact our office. Is your runny nose and congestion caused by a cold, allergies, or a sinus infection? Your allergist will know for sure, but there are symptoms you can watch for that may help you decide when it’s time to see the doctor. Allergies can make life miserable, and it’s difficult to obtain relief without knowing the exact cause of your symptoms. An allergist is a specialized physician who can perform the appropriate test to get you the relief you need. Don’t rush out to buy a jar of peanut butter goodness yet, but help may be on the way if you or your child have a peanut allergy. Learn what researchers are discovering in the war against peanut allergies and what new therapies may be available soon. "This is an outstanding service and allergy practice! So glad I found Dr Laura Ispas." "What a blessing in disguised when my son’s previous allergist left the area. Or else, we wouldn’t have found Dr. Ispas." "The doctors and staff show genuine concern for their patients needs. They are kind, caring, and make visits with them as comfortable as possible." "I love coming to see the staff here! Everything is always explained well and you can tell they care. Almost every person on staff knows my name." "Dr. Ispas and RN Jill genuinely care about their patients and are both gifted in their expertise. Thank you all for the excellence. Highly recommended." "I've been seeing Dr. Ispas for about a year and her and her staff have been nothing but top notch. I have pretty bad allergies and asthma and go there once a week." "Allergy, Asthma and Immunology started me on an immunotherapthy regimen that has helped me get my allergies in check & has allowed me to no longer fear being outdoors."